I've heard from the good folks at Bitter Lemon Press, that if all goes to plan, Gianrico Carofiglio's third title in English, 'Reasonable Doubt' will come out in July. 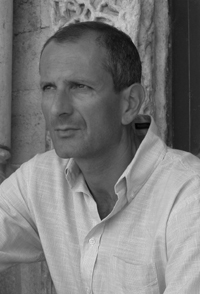 His previous two books, 'Involuntary Witness' and 'A Walk in the Dark', which feature Bari lawyer with a heart Guido Guerrieri, have been firm favourites of Crime Scraps, Petrona and Euro Crime. It's the last day that UK residents can enter to win a copy of 'The Dead Hour' by Denise Mina. US residents have a few more days to win a copy of a DVD of Irish crime series, 'Proof'. If you live outside of the UK and US, please check the competition page after the weekend as there'll be some competitions without geographical restrictions. "What could be more fun on a winter Sunday afternoon than to gather round the wireless with the family to listen to the BBC? Especially when it's Radio 4 Book Club featuring our very own Val McDermid? Yes, at 4pm on Sunday February 4th (repeated on Thursday February 6th at 4pm) Val will be talking to host Jim Naughtie and an audience in Manchester about her landmark Gold Dagger-winning novel, The Mermaids Singing. If you can't pick up Radio 4, you can listen live at: http://www.bbc.co.uk/radio4/. And if you want to listen to it at a later date, it's available for a month via the Listen Again facility at: http://www.bbc.co.uk/radio4/arts/bookclub/. Val said, 'I was thrilled to be asked to take part in Book Club. I'm a great admirer of the show and of James Naughtie as an interviewer. I was a bit nervous beforehand, because you never know what sort of questions a live audience will throw at you. But we had great fun on the day, and I found it very interesting to revisit a book I wrote a dozen years ago. I hope you get the chance to listen to it, and that you will enjoy it." The last film from Dutch director Theo van Gogh came out on R1 DVD a few days ago. The film is based upon the book 'The Sixth of May' by Tomas Ross. Synopsis: A dangerous game of cat and mouse is set in motion following the murder of a prominent Dutch politician. Tabloid photographer Jim de Booy, a crime scene witness, stumbles into an investigation that reveals a complex conspiracy, putting his life and the lives of everyone close to him at risk. 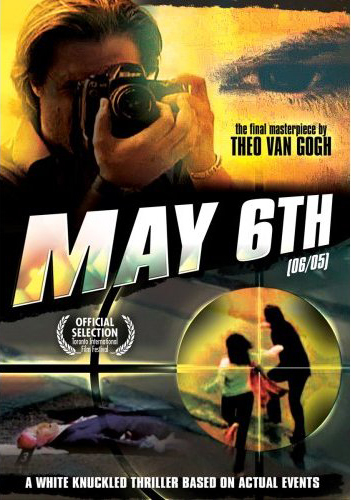 Based on events surrounding the 2002 assassination of Pim Fortuyn, May 6th is the final masterpiece by controversial director Theo van Gogh who was murdered before the film could be theatrically released. 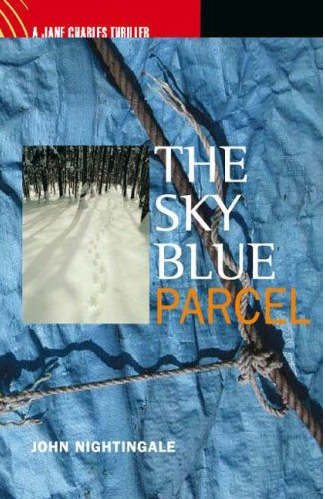 John Nightingale, a financial fraud bod in the Department for Work and Pensions, has spent sandwich breaks daydreaming his debut novel, The Sky Blue Parcel. As expected from a man married to Caroline Slocock, the head of the Equal Opportunities Commission, Nightingale ensures his female sleuth is not confined to holding the evidence bags for a testosterone-charged protagonist. Indeed, his Jane Charles bears a canny resemblance to James Bond's latest companion, the gutsy Vesper Lynd (Eva Green), in Casino Royale) - a female Treasury official charged with keeping tabs on the investigators, who subsequently becomes embroiled in espionage and extra-curricular intimacy. Fans of Martin O'Brien's Daniel Jacquot series have been patiently waiting since 2005 for a new offering. The first two books, Jacquot and the Waterman and Jacquot and the Angel both came out in 2005 and with a certain symmetry, 2007 brings the next two titles - 'Jacquot and the Master' (Feb) and 'Jacquot and the Fifteen' (July). 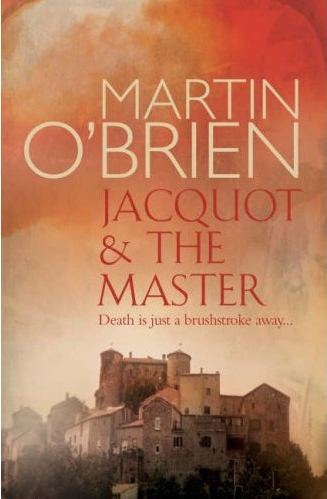 Synopsis from amazon.co.uk: "In a sensual region of France, a crime detective like no other...Chief Inspector Daniel Jacquot of the Cavaillon Regional Crime Squad is called to an artist's retreat in Provence, a luxury hill-top hotel where a young woman, it seems, has been murdered. There are bloodstains, but no body. The mystery deepens as Jacquot begins his investigation. Among the guests are those who have both means and motive, with personal secrets, hidden agendas and their own dangerous liaisons to conceal. Some of these people are very powerful indeed, and none of them take kindly to Jacquot's probing questions. Looming over them all is a celebrated and reclusive artist whose masterworks are priceless, a monster who torments all those who seek to bask in his glory. When a summer storm isolates the hotel, and not one but two bodies are found, passions start to run high!" Synopsis for Jacquot and the Fifteen: "Marc Dombasle is a successful businessman and multi-millionaire. He was also the captain of the French Rugby team that beat England at Twickenham twenty years earlier. To mark the anniversary of this celebrated victory, Dombasle organises a reunion for the members of the winning team. When Chief Inspector Daniel Jacquot, who scored the winning try, receives his invitation to attend the party he is reluctant to indulge in past victories, but an old friend persuades him and he makes his way to the millionaire`s sumptuous Côte d`Azur home. But petty jealousies and past rivalries soon re-surface and when one of Jacquot`s old team-mates commits suicide in a pool-side cabana, his suspicions are aroused. Of the original fifteen players, only eleven of the team now remain alive. Is someone out for revenge?" Carla McKay put both of the first two books on her favourite European reads for 2005. The new reviews this week are: 'SWAN Song' by Robert Edric, reviewed by Geoff Jones, 'Bone Machine' by Martyn Waites reviewed by Maxine "Petrona" Clarke as well as Carla McKay's January roundup. The news page has links to reviews and articles from last week's UK press. The authors page now lists 501 homepages. There's still time to enter the competitions: if you're in the UK win a copy of 'The Dead Hour' by Denise Mina, if you're in the US win a copy of a DVD of Proof. I made a rambling post the other day about improvements to the bibliography section. In a nutshell each author now has their own page, listing their books in series order where appropriate, plus links to any reviews and to their home page where available, eg. Henning Mankell. 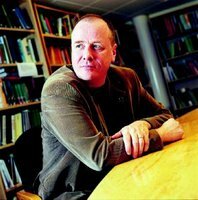 According to the classic crime Granta diary, Arnaldur Indridason was born in Reykjavik on 28 January 1961. So far, three of his books have been translated into English, 'Jar City' ('Tainted Blood'), the Dagger winning 'Silence of the Grave' and 'Voices'. A fourth, 'The Draining Lake' will be out in August. Bibliophile recently reviewed the Icelandic film of Jar City, Mýrin. I'm one of the 7.2 million who watched the first part of last week's The Fall. I haven't yet watched part 2 but Opus Dei are not happy with the portrayal of their members as "murderers, thieves and adulterers". Read the complaint letter from Opus Dei sent to the BBC. "This portrayal is lifted from the Da Vinci Code, a book and film which claimed - against all evidence - to be based on fact. Despite strenuous and well-publicised objections at the time by the Catholic Church, and despite countless press reports into Opus Dei which found the organisation innocent of Dan Brown's depiction, the BBC chose to exploit this portrayal as if it were commonplace fact." As well as New Zealand getting the first run of tv show Missing based on Swedish author Karin Alvetegen's novel, Australians have been watching Danish police drama Unit One on SBS for sometime. However all is not lost for those of us who can play PAL/Region 4 DVDs as there are 3 volumes for sale, with English subtitles. 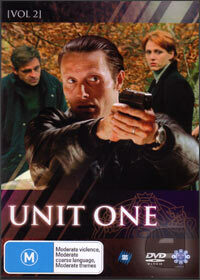 The chap on Volume 2 is none other than recent Bond villain Le Chiffre (Mads Mikkelsen). 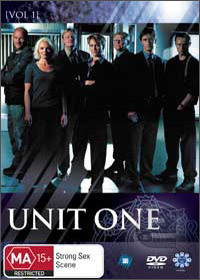 Unit One (orig. Rejseholdet) ran between 2001-2 and features a mobile task force that travels around Denmark helping local police solve crimes. When a headless corpse is found on the ghost train on the Palace Pier, Steine puts the death down to natural causes. But can new policeman Twitten help Brunswick prove otherwise? Also, at the top of the list is an option to view all authors within that letter at once eg http://www.eurocrime.co.uk/books/books_bib_A.html which is how it was before. In either case, clicking on the author name will bring up a page with their bibliography and details of their homepage if available. If an author has a pseudonym, then where the information is complete for that pseudonym, there will be a link to the other name. eg on M C Beaton's page there will be a link to Marion Chesney's. The site now has bibliographies for over 1000 European/British authors so please come and look your favourite authors up. Suggestions welcomed for further improvements and/or 'frills'. A 20-second spoof of Camberwick Green has been made by the BBC to promote series 2 of Life on Mars, and is being distributed virally for maximum exposure. In an inventive twist, the sequence will also be used in the show itself as part of a dream Sam has following drug treatment, used in the present to try to bring him out of his coma. 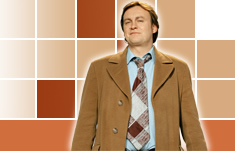 The show's marketing, which includes blanket coverage of all media outlets, maintains the retro theme by using the 1970s' BBC branding. At the end of the campaign the Ford Cortina Mark III used in the show will be auctioned, and proceeds donated to Comic Relief. UK residents can win a copy of 'The Dead Hour' by Denise Mina. 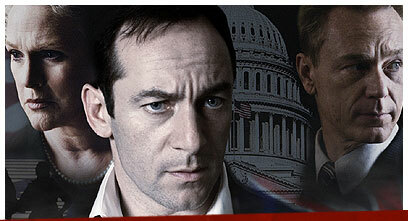 US residents can win a copy of a DVD of Irish crime series, 'Proof'. If you live outside of the UK and US, please keep checking back as there'll be some competitions without geographical restrictions soon. American author Barbara Seranella died on Sunday, details can be found on her website. Barbara wrote a wonderful series starring Munch Mancini, former LA biker turned car mechanic. All the more startling really as they are based on the author's own experiences but toned down for publication. In the first one, 'No Human Involved' Munch is at a very low point and is accused of murder and as the series progresses her life begins to turn around. I've read the first five of the eight - I tend to stockpile my favourite authors - so I don't know how she ends up yet. Something to remedy, albeit with sadness. In the UK Robert Hale has printed the later ones and they should be available in public libraries. Definitely worth reading in order if at all possible. I don't know if there are any unpublished Munch books but what was to be the first in a new series is due out in April - 'Deadman's Switch'. The biggest thrillers of all time - The Day of the Jackal and The Da Vinci Code - built their conspiracy plots around real historical events. So it was inevitable that the death of Princess Diana would get the same treatment. In July, the month before the 10th anniversary of the Paris crash, Transworld will publish The Accident Man by Tom Cain (the pseudonym of a "well-known investigative journalist"). The book stars an assassin who ordinarily targets "bad people", but who realises, after engineering a car accident, that he has been set up to murder the royal. The branch of Waterstone's at Harrods - the store owned by Dodi Fayed's father, Mohamed Al Fayed - has not yet decided whether to stock the book. If you scandalously missed the superb mini-series, The State Within, a few weeks back, now's the chance to remedy that error as the DVD is out today. Blurb: "A flight explodes in mid-air during take off near Washington DC. Later that day, as a shocked capital struggles to come to terms with the disaster, a diplomatic catastrophe envelops the British Embassy. A cat's cradle of tangled affinities and conflicting interests told through interlinking stories unfold as British Ambassador Mark Brydon slowly realises that he is being played by an invisible puppeteer with great power. A tightly plotted conspiracy thriller about the limits of diplomacy in a world where government has abdicated responsibility for war." Shown as a six parter on BBC1 last year, it's extremely complicated in a '24' way with Lucius Malfoy, I mean Jason Isaacs, as the British Ambassador. I had heard there might be a follow-up, I do hope so as there's so little homegrown quality drama made these days. The US release date is 27th February. There's a new competition, this time for US residents only, see below. 'The Elixir of Death' by Bernard Knight, reviewed by Terry Halligan. This is the tenth in the 'Crowner John' series set in 12th Century Devon. 'Captain Alatriste' by Arturo Perez-Reverte (audio book), reviewed by Karen Meek. The first in a quintet featuring the dashing Alatriste (played by Viggo Mortensen in the recent Spanish film), set in Spain in the 16th Century. 'Messenger of Truth' by Jacqueline Winspear, reviewed by Sunnie Gill. The fourth in the Maisie Dobbs series, based in London during the 1930s. The 'Authors' page has been updated with several new author homepages. The 'New Releases' page gets longer. As well as the current competition open to UK residents for a copy of the Edgar nominated, 'The Dead Hour' by Denise Mina, a new competition starts today. Open to US residents only, the prize is a DVD of the first series of the Irish crime drama 'Proof'. Links to clips and a trailer and how to enter can be found on the competition page. Britain, 1964: a time when the line between the police and criminals has become increasingly blurred; when the proliferation of drugs is about to change the face of policing forever; when Britain's youth stand on the brink of a social and sexual revolution. Inspector George Gently is one of the few good men at Scotland Yard, his sense of public duty an increasingly rare commodity in a police force where corruption is rife and unchecked. But his relentless pursuit of notorious gangsters such as Joe Webster (Phil Davis, Bleak House) leads to the murder of Gently's beloved wife Isabella, a killing arranged by Webster himself in an act of revenge upon Gently. In Northumberland, George takes on the headstrong young Detective Sergeant Bacchus (Lee Ingleby, The Street) who is convinced that the prime suspect for Johnny Lister's murder is Ricky Deeming (Richard Armitage, Robin Hood), the charismatic leader of the Defenders biker gang. But as the case grows ever more complex, Gently must decide if Bacchus can be trusted – hot-tempered and ambitious, could he too be drawn to the corrupt road taken by so many of his contemporaries? Or can Gently keep Bacchus's integrity intact? Expect it on BBC1 in the Spring. Peter Guttridge's latest review column for The Observer is up. This time his reviews include Fred Vargas' 'Wash This Blood Clean From My Hand'. Fred Vargas is another original. In Wash This Blood Clean From My Hand (Harvill Secker £11.99, pp400), first published in France three years ago, her doughty policeman, Commissaire Adamsberg, is sent to Quebec for training and discovers a serial killer has followed him. Before long, Adamsberg is on the run from the Canadian police, accused of murdering a young woman he has only just met. He believes he knows the true murderer, the fearsome Judge Fulgence, who may be responsible for nine other murders over a 60-year period and whose unusual weapon of choice is the trident. Vargas, who won last year's inaugural Duncan Lawrie International Dagger, has a wonderfully offbeat imagination that makes each of her novels a refreshing delight. A couple of crime novels have made it onto this year's long-list for the Independent Foreign Fiction Prize. Full article in today's Independent. Christopher Fowler's 'Seventy-Seven Clocks' is the third in the Bryant and May series. They are a pair of elderly policemen in the Peculiar Crimes Unit in London. The first in the series, 'Full Dark House' mostly took place in Blitz-time London whereas the second, 'The Water Room', was modern day. 'Seventy-Seven Clocks' takes place in 1973, the year of blackouts and 3 day weeks. I love listening to these books as for a start they are really witty and the pair have a great repartee and secondly there's a lot of information about London and its history. The plots tend to be convoluted, but I just enjoy the ride. On the Clipper website you can listen to a sample which has Bryant explaining what 'Peculiar' means. Synopsis: "The odd couple of detection - the brilliant but cranky Arthur Bryant and John May of London's Peculiar Crimes Unit - return in a tense, atmospheric new thriller that keeps you guessing right to the end. This time the detectives are up against a series of bizarre murders that defy human understanding - and a killer no human hand may be able to stop. A mysterious stranger in outlandish Edwardian garb defaces a painting in the National Gallery. Then a guest at the exclusive Savoy Hotel is fatally bitten by what appears to be a marshland snake. An outbreak of increasingly bizarre crimes has hit London - and, fittingly, come to the attention of the Peculiar Crimes Unit." Don't forget to enter the competition over on the website for a chance to win a copy of the latest book by Denise Mina - 'The Dead Hour'. There's an easy peasy question to answer before 31st Jan. This competition is only open to UK residents but there will be another competition soon, this time only open to US residents. Not much blogging tomorrow as I'm heading to the Smoke (London) after work to meet the lovely Petrona. "Children of Men" has won the University of Southern California's Scripter Award, the only honour that recognizes both the authors and screenwriters of a produced book-to-film adaptation. Clive Owen and Michael Caine star in the story of a world where women have become infertile. The acclaimed Universal Pictures has earned $22 million (11 million pounds) to date at the North American box office. English libraries are attracting more visitors than ever before despite a fall in total expenditure on books, according to a new report. There was a small rise of about 1% in the number of visits to public libraries - continuing a trend for increasing visits. The total number of visitors has risen 7.5% in total over the past five years. The number of computer terminals in public libraries has risen by 7% in the past year as libraries continue to expand their role into different forms of educational media. Evidence from the report suggests the more libraries invest in books, the more the public borrows; a 7% increase in children's books added to the shelves was supported by a 3% increase in their lending. The culture minister, David Lammy, said: "Books and the written word remain at the heart of the public library service, and rightly so, but local libraries offer much more than that. Local authorities disregard their importance to communities at their peril." Orion asks a few questions of Pip Vaughan-Hughes, author of last year's 'Relic', the first of the Brother Petroc series, which has just come out in paperback. The follow-up, 'The Vault of Bones' is out in July. Synopsis from amazon.co.uk: "England, 1235, and Brother Petroc is living a simple life as a novice monk. Struggling to keep his soul fairly clean and worrying most about resisting the local girls, he inadvertently stumbles headlong into vicious trap. Framed by a sinister Templar Knight for a brutal murder of a church official and accused of the theft of a priceless relic, he is forced to run for his life. But when his best friend Will is killed by the chasing knight, Petroc's flight becomes a quest for restitution. Trusting his fate to an enigmatic relic-hunter and scoundrel, he must dodge the long arm of the church and somehow get to the bottom of everything that has happened to him. He must find out how his fate is entwined with that of the sacred object and get revenge on the man who wrecked his life - all the while avoiding the pitfalls and perils of love for a beautiful Greek princess..."
Listen online for up to seven days after broadcast. We continue our dramatisations of Alexander McCall Smith's enormously successful and popular series of novels set in Botswana. Written and dramatised by Alexander McCall Smith. A series of plays adapted from the fifth and sixth books in Smith's hugely popular series set in Botswana. 1: How to Handle Men Through the Application of Psychology. Precious Ramotswe, owner and founder of The No 1 Ladies' Detective Agency, sets out to release her fiance, Mr JLB Matekoni, from a terrifying obligation. Meanwhile, a new case comes into the agency and the ladies find themselves on a love quest. 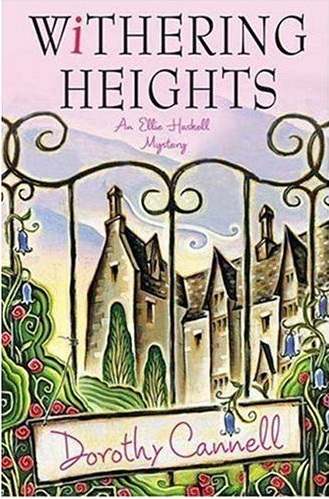 It's been five years since the last in the cozy-ish Ellie Haskell series and fans will be relieved that there is a new book out in April, called 'Withering Heights'. Author Dorothy Cannell was born in the UK but has been living in the US for many years. No author website that I can find but here's an article about her, from a couple of years ago. "The formerly plump girl turned Thin Woman may now be happily married and a mother, but she hasnt lost her wit, her weakness for romance, or her knack for landing herself in trouble. 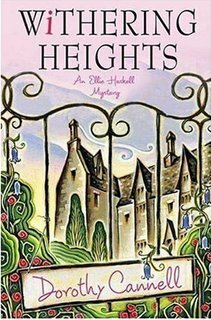 With her irreverent sidekick and charwoman, Mrs. Roxie Molloy, at her side, Ellie has not only solved a crime or two, but has read every Gothic romance she can find and has begun introducing a young cousin, Ariel, to the finer points of the genre." There's all sorts now on the WTD website including 'Mel's mystery' about the pendant, the 'Interactive Evidence Wall' and of course 'All About Eve', the latest pathologist. Internet withdrawal struck last night as the power for the whole of Redditch was cut off yesterday between 3pm and just after midnight. Trying to read by wind-up torch was a bit taxing as The Redbreast is a large brick which needs two hands. But it's an excellent gadget and it doubles up as a phone charger. Elizabeth George is the best selling American author of the Inspector Lynley series. The latest, 'What Came Before He Shot Her', came out on the 11th. The books have also been televised by the BBC and star Nathanial Parker and Sharon Small. Murder One's latest newsletter announces: "A reminder that Elizabeth George will be signing WHAT CAME BEFORE HE SHOT HER on the 25th over lunch time. Reserve a copy now." I don't know whether she's doing any more 'events'. Her official website appears to have expired. It was http://www.elizabethgeorgeonline.com/. Firstly, there's a new competition! Win a copy of 'The Dead Hour' by Denise Mina (UK residents only I'm afraid). The new reviews this week are: 'Voices' by Arnaldur Indridason, reviewed by Karen Meek and 'The One From The Other' by Philip Kerr, reviewed by Yvonne Klein. Plus we have Euro Crime's contributors (in 2006) choice of top four/five favourite European reads in 2006. Traditionally crime fiction comes into its own early in the New Year. To mark the imminent avalanche of titles Mariella invites three of the stars of the genre, Barbara Nadel, Qui Xiaolong and Karin Alvtegen to nominate their top fictional detectives. You can still listen to the whole programme and the books mentioned are listed here. Special Assignments by Boris Akunin, Unseen by Mari Jungstedt and The Scent of the Night by Andrea Camilleri in today's Guardian. Shots has joined the blogosphere at http://wwwshotsmagcouk.blogspot.com/. The blog is intended to replace the monthly(?) newsletter. 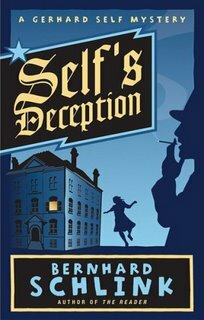 'Self's Deception' by Bernhard Schlink was supposed to have been published yesterday but amazon.co.uk still list it as 'not yet published'. It's the second in the Gerhard Self series following on from 'Self's Punishment'. 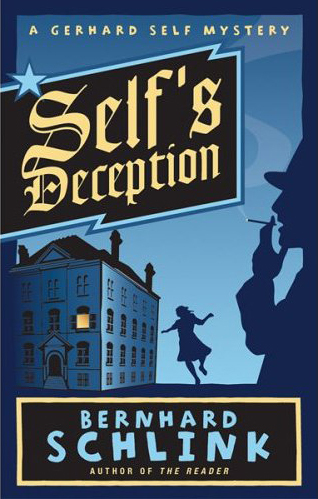 Summary from amazon.co.uk: "In Self's Deception, private investigator Gerhard Self receives a request to track down the daughter of Herr Salger, the Assistant Secretary of Bonn, who's been absent from her translation classes at the university. Repelled by the pomposity of the government official, he rejects the case. But an insistent letter--and five thousand marks--changes his mind. After discrete interrogations at her school and her former residences, and a quick survey of the local hospitals, it turns out she washed up at a psych ward where he's told she had fallen out of a window earlier that week and died. Self suspects that this may be a lie, and soon decides that one of the doctors is covering for her. As his investigation takes a sinister turn he realises that his quarry may have been involved in a terrorist incident--but a terrorist incident that the government seems intent on covering up. With the woman still missing, and a growing suspicion that the client who hired him may not actually be Herr Salger at all, Self finds himself embroiled in a dark and complex conspiracy that reaches to the very top of government. But with his plentiful supply of Sweet Aftons, and his cat Turbo to talk to (as well as the realisation that the young lady he is searching for is not without her own charms) Self sets out on his latest adventure with his inimitable blend of cynicism and charm." "Bernhard Schlink was born in Germany in 1944. A professor of law at the University of Berlin and a practising judge, he is the author of the major international best-selling novel The Reader as well as several prize-winning crime novels. He lives in Bonn and Berlin." News page updated on Euro Crime! Scandinavia continues to provide a fertile landscape for crime writers and the latest to join the fold is Mari Jungstedt. Her debut novel Unseen is the first of a projected series set on the island of Gotland in the Baltic and follows the cat and mouse game between a serial killer and the authorities at the height of the holiday season. There's an icy, dispassionate grip to Jungstedt's writing that recalls Henning Mankell, although one does wonder whether the genre is starting to reach saturation point. At the other end of the scale is The Third Heaven Conspiracy, a thickly atmospheric historical thriller by the Italian author Giulio Leoni set in pre-Renaissance Florence. A conspiracy to turn a church into a university that involves the new Pope as well as all manner of witchcraft pricks the interest of young poet Dante Alighieri in a literary mystery that's more The Name of the Rose than The Da Vinci Code. Meanwhile, in Quebec, Commissariat Adamsberg finds himself personally involved in a series of linked murders committed over a 50-year period in Wash This Blood Clean From My Hand by Fred Vargas with the result that he soon finds himself on the run. A dense, complicated, exciting novel from one of the more interesting crime writers around. Comments welcomed on whether the genre is getting saturated. Can one have too many Scandinavian writers translated into English? This (train) commuter would love a pair of these, do they exist in real life? Unfortunately the follow-up keeps getting pushed back. Currently it'll be out in 2008, 4 years after PoD. And the ending of PoD leaves you breathless for the next one. I meant to review this but didn't. It's a fabulous book, and the narrator David Rintoul has a gorgeous voice. Unfussy prose, well developed characters, a taxing whodunnit and an ambiguous ending. I've just listened to the next one and I do hope to review that though I didn't enjoy it as much as DLB. This doesn't seem to be up on the website yet but an email from the organisers today reveals that Natasha Cooper is taking over from Mark Billingham to helm this year's Harrogate Crime Writing Festival. To programme what has now become the finest Crime Writing Festival in the world is a great responsibility, but also a great pleasure, and with a tenure of only one year, the decision as to who will take over the role once your time is up is a very important one. Yes, of course a “safe pair of hands” is crucial – just ask Andrew Flintoff – but it is vital that each successive chair will take the Festival further; will oversee growth, bring a fresh perspective and raise the bar even higher, so that writers, publishers and readers will continue to flock to a festival that is unrivalled anywhere. This is what the programming chair must take on, and there could be nobody more ideally suited to the task than Natasha Cooper. Daphne – as those fortunate enough to be her friends call her – is not only one of the most accomplished crime writers in the country, but she is one of the most popular figures in the literary community as a whole. She is as adored as she is respected, and, under her chairmanship, the programme for the 2007 festival is shaping up to be the best yet. So what makes the ideal Programming Chair? Daphne’s writings about crime fiction make it clear that she sees this genre as one that must continue to develop. She is a fresh thinker; bubbling with ideas and initiatives and her programme for this year’s festival will most certainly reflect this. Daphne is hugely “clubbable”, and not in the baby seal or Pete Doherty sense of the word. This quality will go a long way towards creating the Festival’s uniquely warm and welcoming atmosphere and I can think of no writer who better unites readers and writers which is what makes the Theakston’s Old Peculier Harrogate Crime Writing Festival so special. And, of course, there also needs to be a degree of steel. Anyone who has read any of Daphne’s wonderful Trish Maguire novels will not need to be told that there is a darkness and a determination lurking beneath that charming exterior, and when you’re dealing with the pressures of putting a large festival together, not to mention the miscellaneous demands of stroppy crime writers (suites, drugs, limousines etc), this is a quality that cannot be underestimated! A tradition has evolved whereby the outgoing chair nominates his or her successor. There was only ever one name on my list. I was delighted when Natasha Cooper accepted the invitation and I know, that under her chairmanship, the 2007 Harrogate Crime Writing Festival will be the best yet. Where are they now - Gillian Linscott? A friend was asking me yesterday about new books by Gillian Linscott. It seems that she's not published anything since 2003. Linscott is probably most well known for her Nell Bray series about a sufragette, which currently numbers eleven. The first in the series, 'Sister Beneath the Sheet' is reviewed here at the women in world history site. As well as a few standalones, she also wrote three books about ex policeman, Birdie Linnet early in her writing career. The first of the Birdie Linnet books is 'Healthy Body' which revolves around a French naturist centre and is reviewed here from a naturist's perspective. If anyone can tell me if Gillian Linscott's still writing, please do drop me a note in the comments. UPDATE Dec. 2007: Gillian Linscott is now writing as Caro Peacock. Labels: Caro Peacock, Gillian Linscott, Where are they now? Synopsis from amazon.co.uk: "In 1944, Daniel, a soldier legendary among the Norwegians fighting the advance of Bolshevism on the Russian front, is killed. Two years later, a wounded soldier wakes in a Vienna hospital. He becomes involved with a young nurse, the consequences of which will ripple forward to the end of the century. It was 1999: Harry Hole, working alone having caused an embarrassment in the line of duty, has been promoted to inspector and is lumbered with surveillance duties. He is assigned the task of monitoring neo-Nazi activities; fairly mundane until a report of a rare and unusual gun being fired sparks his interest. Ellen Gjelten, his partner, from his police officer days makes a startling discovery. Then a former soldier is found with his throat cut. In a quest which takes him to South Africa and Vienna, Harry finds himself perpetually one step behind the killer. He will be both winner and loser by the novel's nail-biting conclusion. The Redbreast won the Glass Key for best Nordic crime novel when it was published in Norway, and was subsequently voted Norway's best crime novel. "The Devil's Star", Nesbo's first novel featuring Harry Hole to be translated into English, marked Nesbo as a voice to watch in the ever-more fashionable world of Nordic crime." NB. 'The Redbreast', though translated after 'The Devil's Star' is the 3rd in the Harry Hole series whereas 'The Devil's Star' is the fifth. How well do you know your Irish crime writers? Cormac Miller, author of 'An Irish Solution' and 'The Grounds' both featuring Dublin's Seamus Joyce, Acting Director of the Irish Drug Enforcement Agency, has compiled a list of 51 Irish crime writers. I'm going to have to cross-check with the Euro Crime list and see if it's missing any. December Crime File. Also this week there's a review of the paperback of 'The Cipher Garden' by Martin Edwards by new reviewer Geoff Roberts as well as my take on 'Wash This Blood Clean From My Hand' by Fred Vargas. The 'Authors' (492 sites) list of author homepages continues to grow. Last month's 'Competition' winners have been announced. In 'Books' there are now bibliographies for 986 authors (5534 titles with links to 857 reviews) - I've added bibliographies for the following: A C Baantjer, Elena Forbes, Georgette Heyer, Suzette A Hill, Ian Morson and Hugo Rifkind. In 'Books' I've updated the bibliographies (ie added new titles) for: Sam Bourne, Tom Bradby, Kjell Eriksson, Jasper Fforde, Barry Maitland, Amy Myers, Julia Navarro, Andrew Pepper, Ann Purser, R T Raichev and Cathi Unsworth. 'The Tinner's Corpse' has been condensed to an hour and you can listen to it via the Radio 4 website for the next seven days. It seems that Bernard Knight's homepage has disappeared but Wikipedia (as ever) can help. Knight is also one of The Medieval Murderers - which comprises Mike Jecks, Susanna Gregory, Bernard Knight, Ian Morson, Philip Gooden, and Chris Sansom - whose third collaboration will be published in April. Ali Karim reports on his trip to Dublin and enthuses about Jean-Patrick Manchette whose works are being re-released by Serpent's Tail. It's a Crime! reviews Fred Vargas's 'Wash This Blood Clean From My Hand' (Look out for the Euro Crime review tomorrow) and Andrew Taylor's 'Naked to the Hangman'. About 1/3rd of my reading in 2006 was of European crime in translation and included five of the nominees for the International Dagger, three of which are in the above list. ...has acquired an author whom it believes is set to join the ranks of British crime-writing greats. Publisher Sue Freestone has taken on Elena Forbes, a former investment banker whose debut Die With Me will introduce readers to DI Mark Tartaglia and pathologist Fiona Blake. The novel is set in the London suburb of Barnes, which in Forbes’ hands is “as vivid as Morse’s Oxford”, while Tartaglia has “the charisma and complexity of a Rebus or Wexford”. The book is part of “a very decent” two-book deal, and independent TV production company Windfall, which is pitching a documentary about the making of a bestseller, is filming Forbes as she goes through the editorial process. Audio books on your phone? The card can be slotted into a mobile phone, dispensing with the need to carry up to six CDs for an audio version of a book. The technology, originally developed to store music, will be released this year by Nokia. Nokia is introducing the technology initially with James’s German publisher, S Fischer Verlage. His publisher in Britain, Macmillan, is in talks for a British version. Annual sales of audio books have reached about £71 million in Britain and £435 million in America. I like the sound of this as I'm always running out of tapes/cds when on the train. I mentioned a while ago that Karin Alvtegen's novel, 'Missing' had been made into a two part tv show. The UK air date hasn't been announced but TV3 in New Zealand are showing/have just shown it. With part two tonight at 8.30pm (NZ time). "The title of the third Young Bond book was revealed today by Young Bond author, Charlie Higson. 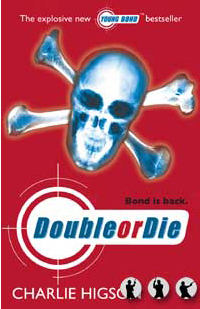 Double or Die, the title of the latest book in the super selling Young Bond series, was chosen by the fans in an unprecedented nationwide ballot. Double or Die is published by Puffin Books tomorrow, Thursday 4th January, at £6.99. Thousands of Young James Bond fans voted for their favourite of three given titles, devised by the author Charlie Higson: Double or Die, N.E.M.E.S.I.S. or The Deadlock Cipher. This is the first instance that readers have decided the title of a book." From the MI6 News webpage which has all the details. Spanish journalist, Julia Navarro's 'The Brotherhood of the Holy Shroud' was released in December in the US and will come out in February in the UK. From the Random House website: "Julia Navarro is a well known Madrid-based journalist who is currently a political analyst for Agencia OTR/Europa Press and a correspondent for other prominent Spanish radio and television networks and print media, including a weekly column for Tiempo magazine. Bantam Dell will publish the English translation of her second novel, The Bible of Clay, in Spring 2008." Synopsis from amazon.co.uk: "The Brotherhood Of The Holy Shroud" is the explosive international bestseller that mixes fact and fiction to tell the riveting story of one of the world's most controversial relics, the Turin Shroud - believed by millions of the faithful to bear the likeness of Christ - and the desperate race to save it from those who will stop at nothing to possess its legendary power. A fire at the Cathedral of Turin and the discovery of a strangely mutilated body attract the attention of Italy's special Art Crimes Department, for the fire is only the latest in a troubling series of arson attacks and break-ins at the cathedral which houses the famous shroud. Department chief, Marco Valoni leads a team of top investigators in a race to solve a crime certain to shock the world: someone is planning to steal the Holy Shroud. Spanning centuries and continents, from the storm-rent skies over Cavalry, through the glories of Byzantium and the intrigue and treachery of the Crusades, "The Brotherhood of the Holy Shroud" is a provocative page-turner of the highest order - one that will challenge you to believe." There's been slim pickings for new crime reviews/articles over the festive season but I've found a few new links which I've added to the 'News' page on the Euro Crime website including today's Independent podcast interview of Stuart MacBride. Want to help script the last Ellie Quicke book? Murder of Identity is published in hardback in December 06, and is the 8th in the Ellie Quicke series. The publishers would like to have just one more book to round off the series in 2007. The main storyline is already agreed, but I would welcome suggestions from readers as to the fate of Ellie’s dreadful daughter, Diana. What would you like to see happen to her? Ought she to reform? Or marry again – and if so what sort of man would take her on? The only thing I know for certain is that she is not the next murder victim, as I think death is too good for her. Please go to my contact page and let me know what you think. I've read the first three and I enjoyed the first one very much and the second two almost as much. My comments at the time: "A smooth read with a likeable main character. Ellie Quicke, recently widowed has been spending lots of time staring out her back window which faces the church. Her brain is befogged by grief and tablets. 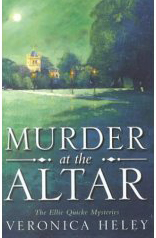 Unfortunately the killer of a local bad boy leaves the body in the church and is convinced that Ellie saw something. What follows is an account told by Ellie and sidebars from two would be assassins who naturally make a hash of it. Ellie has been sheltered from life by her husband but now she sets out to experience life. Recommended." One thing to note is that despite the covers these books are set in a London suburb rather than in a country village. Derek Jacobi has been one of my favourite actors since I saw him play Hamlet many years ago. 2007 looks to be yet another good year for fans as he returns to an old favourite as well as starring as a classic English author. he is to reprise his role in I, Claudius for a whole new audience. The series, to be aired by BBC Radio in January, will see him return to the pivotal role in what was widely considered to be one of the greatest pieces of TV drama after a gap of 30 years. The revamped eight-part serialisation has been staged for BBC Radio 2 and will be broadcast from 12 January. Though the 1976 TV version - which also starred Siân Phillips, Brian Blessed and John Hurt - combined Graves's 1934 novel and its sequel, Claudius the God, the radio revival will stick solely to the first book. Not content with one iconic figure, Jacobi will star as Charles Dickens (and a tramp) in the murder-mystery film, 'The Riddle', set to be released in the Spring. Plot outline from IMDB: "A journalist investigates a series of murders that follows the discovery of an unpublished novel by Charles Dickens in the cellar of an old Thames-side-pub. Gradually he becomes obsessed with unraveling a century-old murder in the pages of the manuscript. Only when he has done so, with the help of a mysterious beach-combing tramp who stalks the Thames foreshore, is he able to solve the modern murders." The downside of 'The Riddle' is that Vinnie Jones is the journalist! Mel Smith also features as well as Vanessa Redgrave and Jason Flemyng. You can watch a trailer here.